Practice numbers in a fun way with your kids. Count pumpkins and practice tracing and writing number 7. 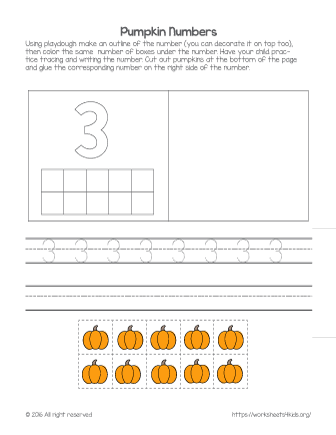 Practice number awareness and fine motor skills in a fun active way with this pumpkin math worksheet. 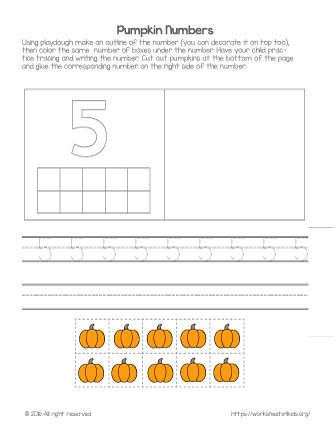 Practice number awareness and fine motor skills with fun pumpkins math worksheets for kindergarten. Practice number awareness skills with pumpkins. 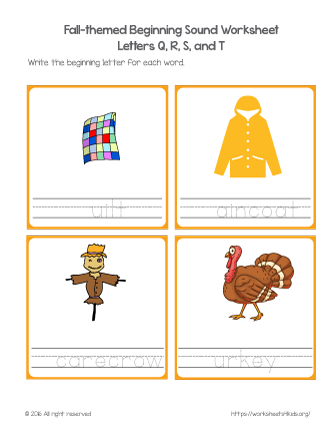 With this worksheet, your kids will have so much fun! 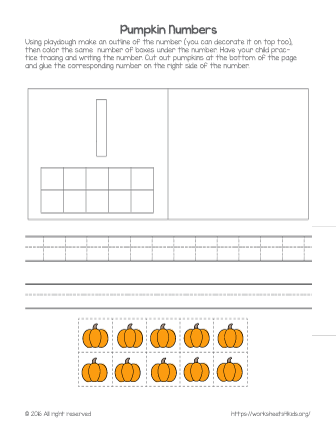 Practice number awareness skills with these fun pumpkins math worksheet and bring holiday fun into your lessons. 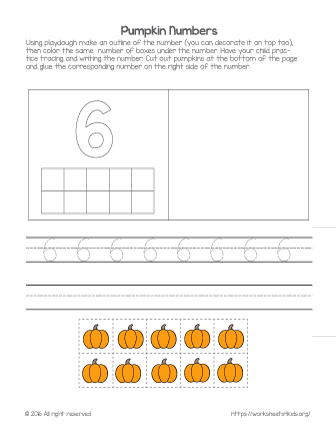 Let's have fun in your class this fall and practice numbers with pumpkins! It has so many fun activities your kids will love to do! 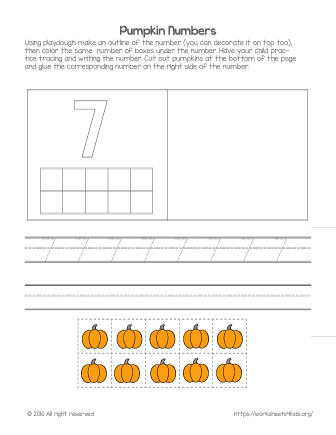 Practice numbers with pumpkins these holidays! Number 2 worksheet has so many fun activities your kids will enjoy! Bring some holiday fun into your lessons and practice pumpkin math with this colorful number 0 worksheet! 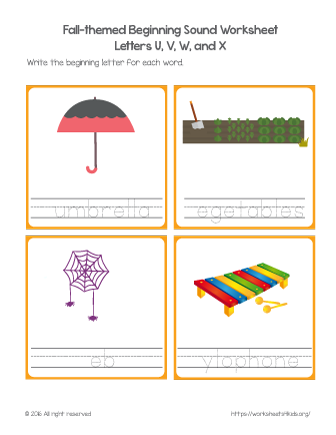 In this worksheet, kids will recognize the letters that start words and trace the rest of the word. 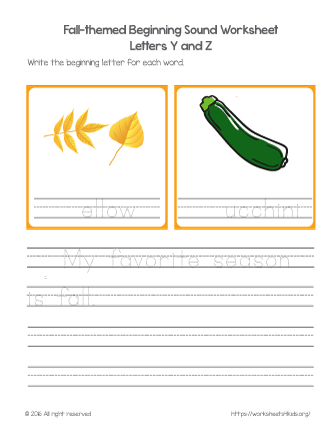 This worksheet includes two fall words. 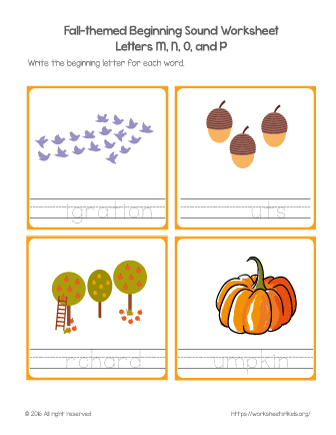 Fall-themed letter sound worksheet for kindergarten kids helps them develop phonics skills and expand vocabulary.